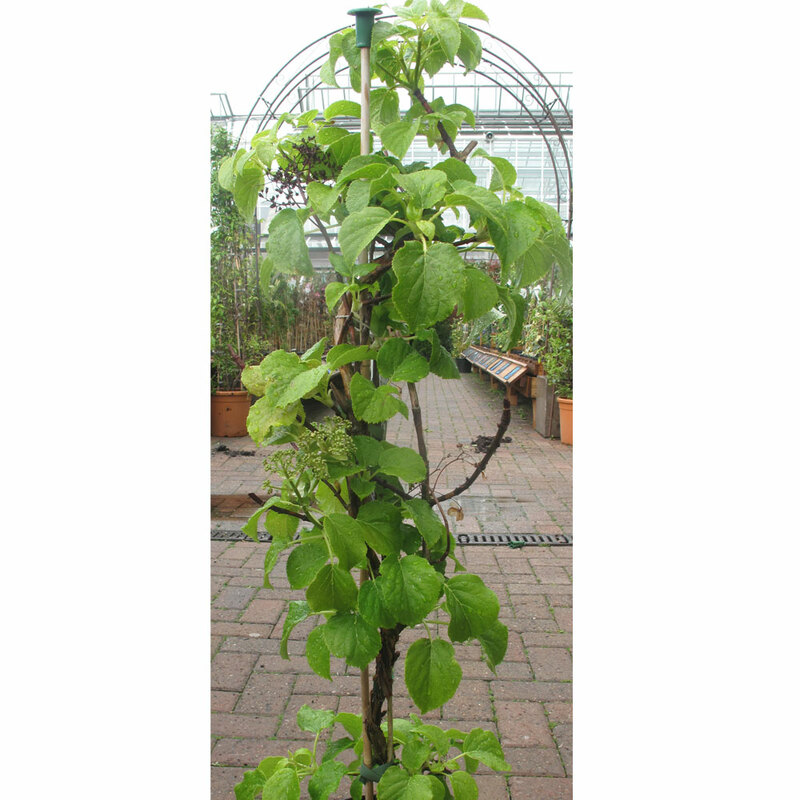 An ideal self clinging climber to add interest to a north facing or shady wall or fence. It has white lace cap type flowers in the early summer and the stems, although bare, are an attractive russet colour through the winter. RHS AGM.